Class is always in session at Madonna where our doctors, therapists and nurses teach lessons focused on helping patients regain their highest level of independence. You could say patients at Madonna are enrolled in a busy, daily class schedule for a combination of physical and mental training. Each patient’s coursework, or rehabilitation program, is individualized to meet their needs. Physical therapy is customized to each patient to promote mobility, restore function, reduce pain and prevent disability. Madonna’s physical therapists use clinically proven techniques with state-of the-art equipment housed in large therapy gyms to train patients. Occupational therapy is different for every individual of any age, depending on their level of function. With a goal of regaining independence, occupational therapists at Madonna teach methods for eliminating barriers and modifications that can help them achieve their goals. 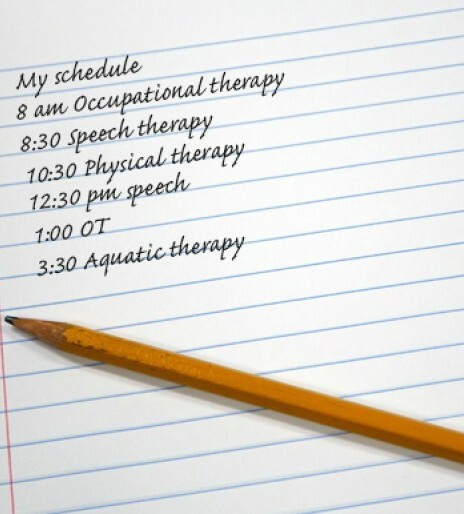 Speech therapy focuses on swallowing, communication and cognition issues caused by the individual’s condition or injury. Our speech language pathologists are experts in technology that can help patients communicate and address problems with eating and drinking. Recreation therapy is tailored to each patient’s interests using activities like games, arts, sports and more to work on skills needed for their recovery. Madonna’s recreation therapists even organize community outings. In Madonna’s fully-accessible pools, the buoyancy of the warm water helps patients ease into exercise routines that might otherwise be difficult. Staff with special training in aquatic therapy and exercise coach individuals to get stronger and improve mobility. Classrooms within Madonna’s rehabilitation environment, the Therapeutic Learning Center provides a connection to the patient’s school or college. Education specialists help children, teens and young adults continue learning and overcome any challenges. With so much focus on teaching and the mind, Madonna’s neuropsychology program is an essential resource for patients. Neuropsychologists and counselors are an important part of the patient’s transdisciplinary care team. This is just a glimpse of the many services and programs provided by Madonna. Whether it is relearning to walk after a spinal cord injury, retraining the brain because of a brain injury or even cooking and grocery shopping in our Independence Square while recovering from a neurological condition, the classroom at Madonna is open.